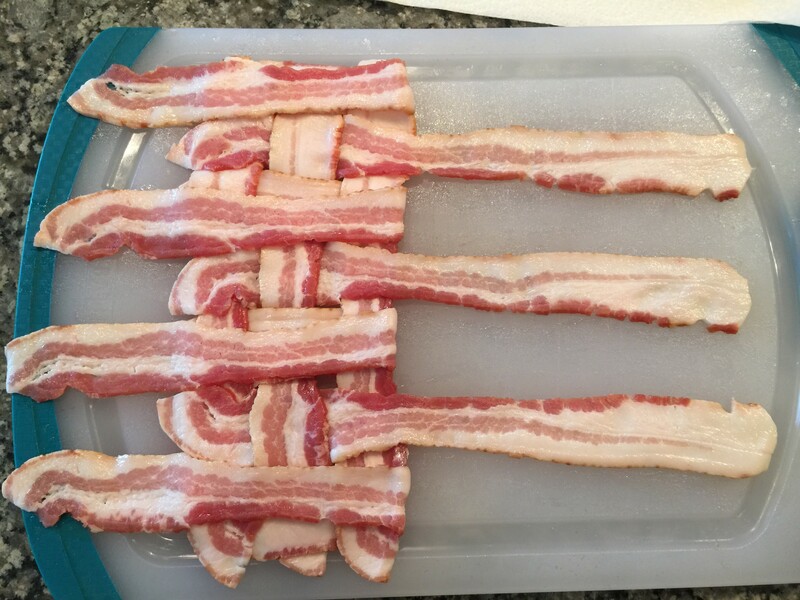 You want to know how to make a bacon weave? 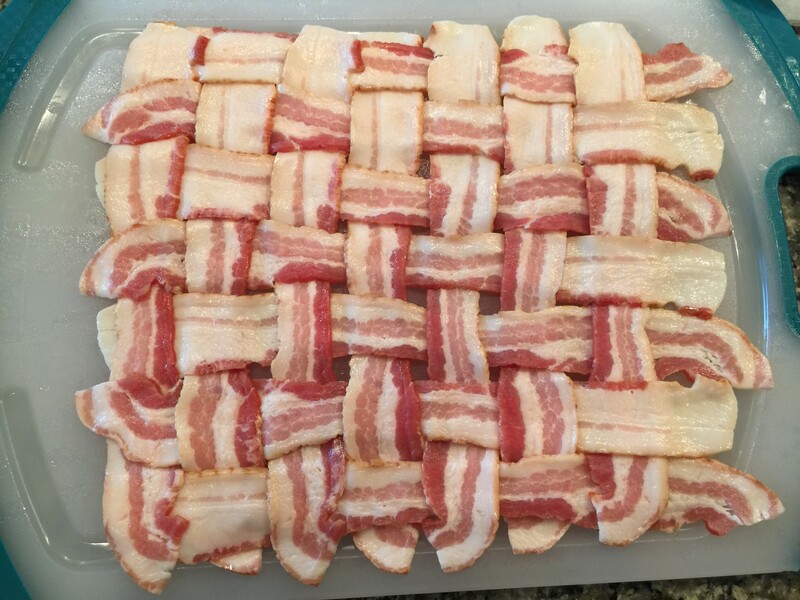 This versatile little flavor quilt can be used to cut up and put on burgers for guaranteed equal bacon coverage or you can use it to wrap another piece of delicious meat! Let’s cut the small talk and get to the good stuff! 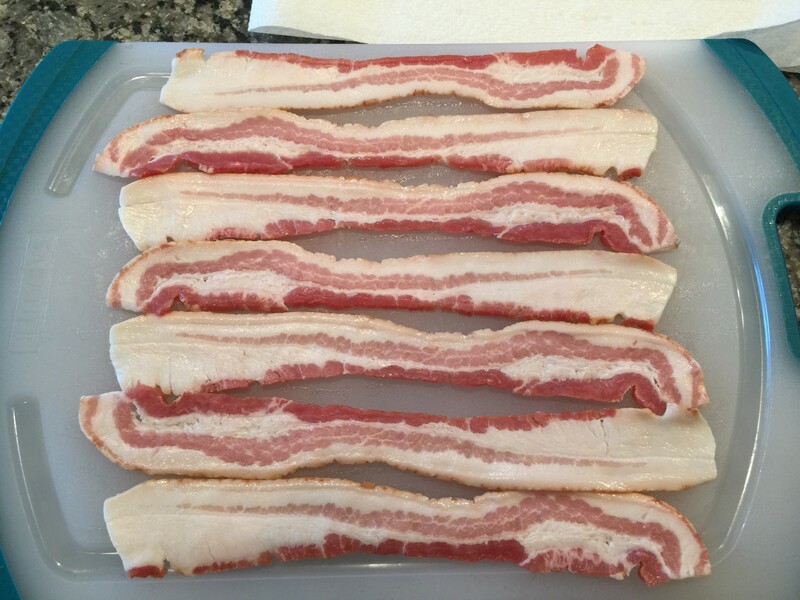 To get started you will need 1 pound of bacon if you use “regular” bacon and not thick-cut. You may need 2 pounds if you use the thick stuff. 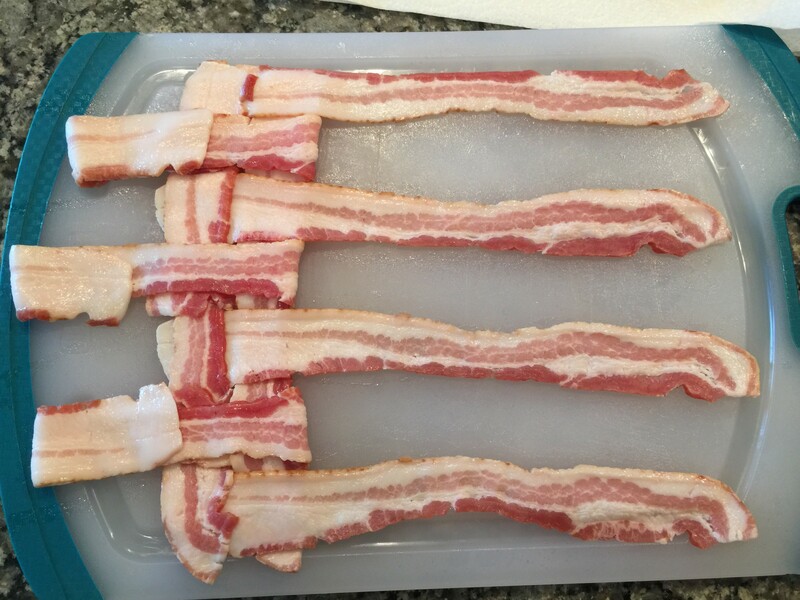 Lay out 7 strips of bacon horizontally in front you. I used a large cutting board, but wax paper will work too. The pound I bought had one end that was fattier than the other so I alternated the ends. Just make sure you make them touch but not overlap. Flip back the left side of strips 2, 4, and 6 (the “even” strips). Start counting from the top. Next, take a new strip and lay it vertically over the ends that are left dangling out. 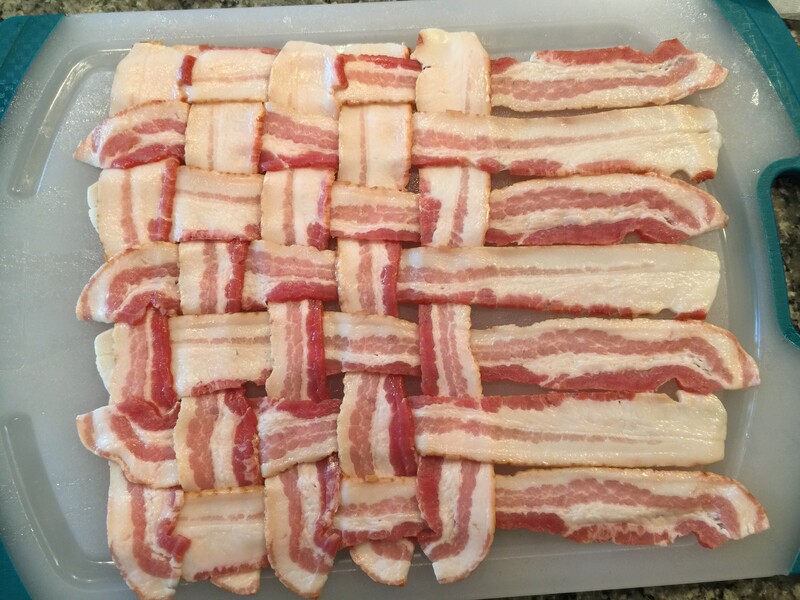 Now flip the ends of the even strips back over the vertical strip you just laid down. It should look like the picture below. 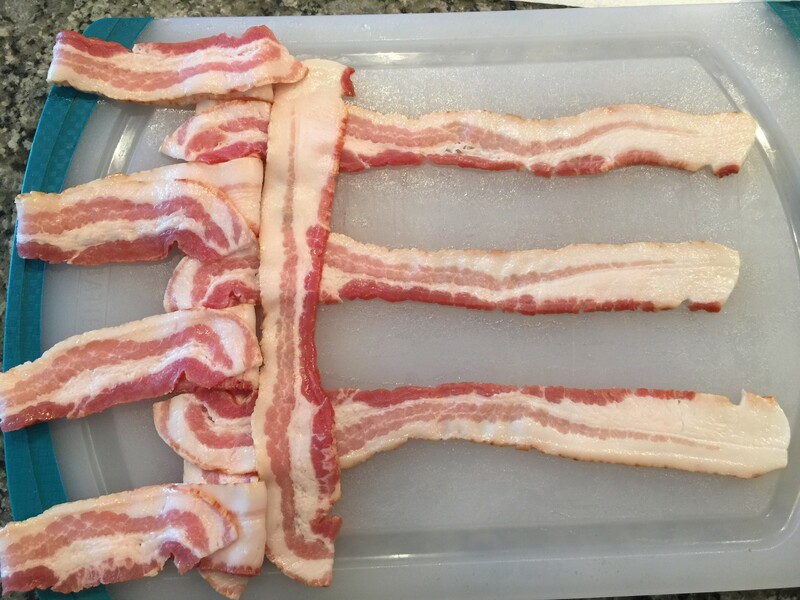 Since you flipped even strips last time, flip strips 1, 3, 5, and 7 (the “odd” strips) to the left , stopping when it folds over the first vertical strip, so you don’t mess up the work you’ve already done. Lay another vertical strip and flip the odd strips back over. 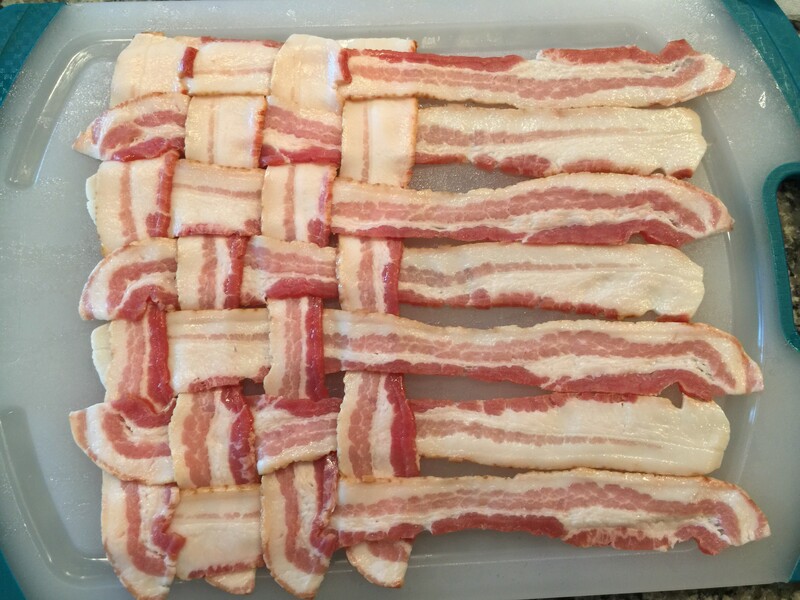 Flip the even strips to the left. Lay the evens back over the new vertical one. Flip the odds over to the left. Add a new vertical strip and fold the odds back to the right. We continue this pattern of odds, vertical, evens, vertical, until we get to the end. Way easier than you thought, huh? 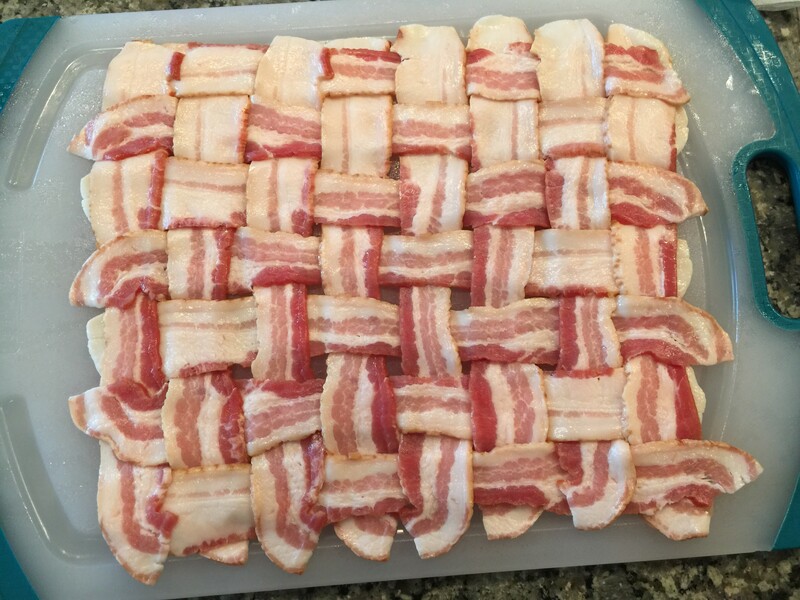 If you take your time, it will turn out great! Now, bake, wrap and grill, or fry this guy up and it will add a ton of flavor to any recipe. 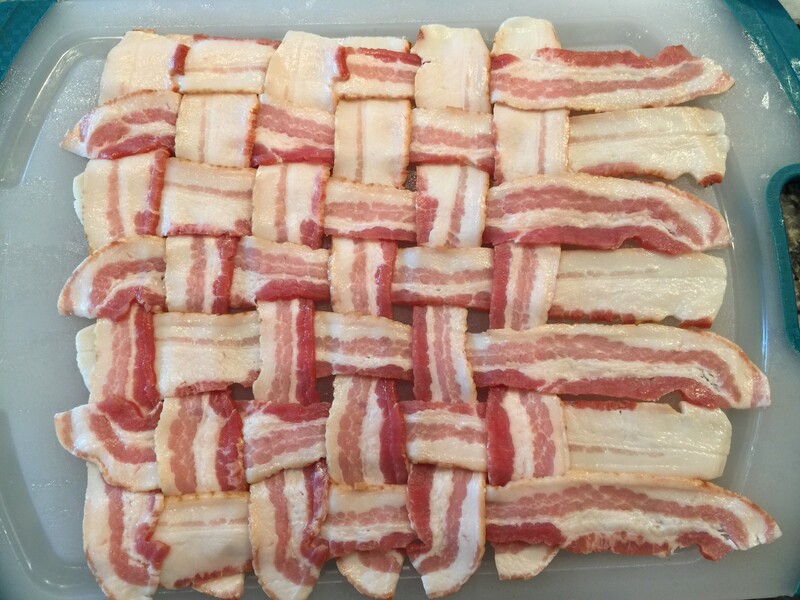 Let us know how you use your Bacon Weave in the comments!